Topics: Free Quote, Installation, Repairs, Maintenance, and Website Design By Mightymedia. Icdsoft Ltd (Massachusetts, Waltham) is the location of the Apache server. There are 2 Nameservers, ns2.server285.com, and ns1.server285.com. 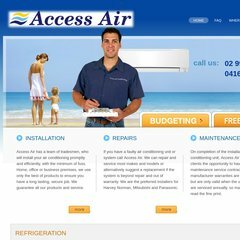 Accessairconditioning.com.au's IP address is 64.14.68.84. PING www. (64.14.68.84) 56(84) bytes of data. A time of 47.5 ms, is recorded in a ping test.